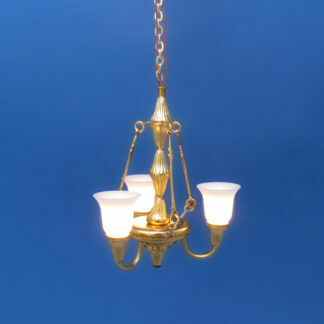 HA-308+ Two-Light Brass Enclosed Hanging Fixture – Lighting Bug Ltd. 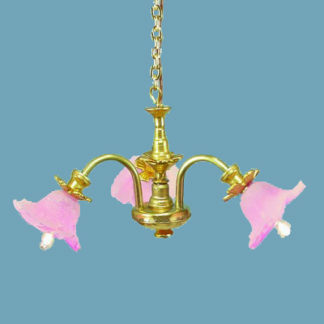 This gorgeous brass hanging fixture will beautifully accent your miniature project. 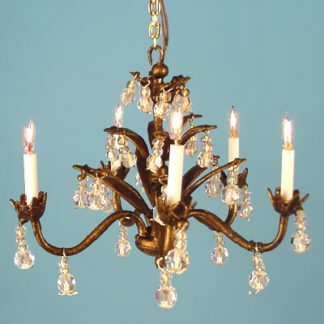 It features replaceable long-life bi-pin flame tipped bulbs, enclosed in a an elegant clear glass cylinder. 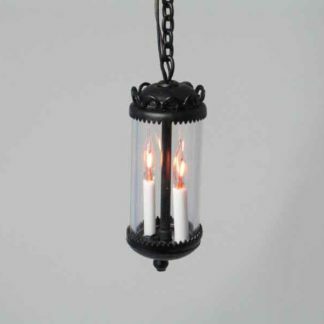 Approx 1″ long by 1/2″ wide. 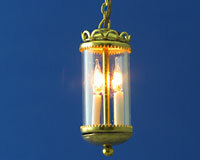 The brass chain is 4″ long, but may be special ordered to meet your needs.